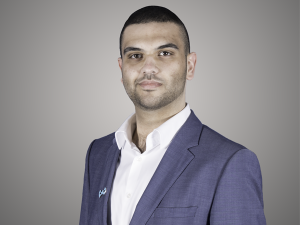 A Forbes Under 30 Sem-Finalist(2016), Ayman Jaber has spent his career on both sides of the industry as a Creative & Digital strategist as well as a Marketing Director. He has worked across Dubai, Peoria IL(Simantel Group), Washington DC(Viva Creative), Jordan, and the West Bank. His portfolio includes Sony, Philips, Infiniti, Nissan, Huawei,Caterpillar, OSF, and the Majid Al Futtaim Malls. A keen researcher, Jaber has published numerous articles in industry publications, presented his research at international conferences, and chaired several panels at international business award shows.